Sanibonani, molweni, good day, dumelang to the youth of South Africa in every corner of our country. Today, the nation recalls the events of 16 June 1976 in Soweto, and remembers the heroism of our young people who took on the might of the apartheid state, in pursuit of freedom, equality and human rights. We commemorate National Youth Day under the theme;Working Together for Youth Development and a Drug Free South Africa. The bravery of our youth during those difficult times pushed our country closer to freedom and democracy which we finally achieved in 1994. We also pay a fitting tribute to generations of youth in the past decades. Namhlanje sikhumbula ubuqhawe bentsha yase- Soweto kanye nasezindaweni eziningi eNingizimu Africa. Izingane nentsha zaqoma ukufa, sezikhathele ingcindezelo. Lesisibindi nobuqhawe, nokuthanda izwe labo kangaka, siyohlale sikukhumbula njalo. We have come a long way since 1976. South Africa has changed considerably, for the better. We thank the youth for their sterling contribution to both freedom and the reconstruction of their country. Through the collective efforts of the 1976 generation of youth we saw the “doors of learning and culture being opened” after 1994. We witnessed the democratic government changing the draconian laws that had made the lives of the majority of our youth miserable in South Africa. During the first ten years of democracy alone, 789 laws or amendments aimed at reconfiguring South African society were approved by Parliament. The dismantling of the legal framework of apartheid and transformation of many state institutions has led to the visible improvement of the socio-economic conditions of millions of people, including the youth. We prioritise youth development with good reason in this country. Census 2011 indicated that South Africa is a youthful country. More than 50% of the population is young people under 39 years of age. Census 2011 told us that for the next 20 years, South Africa will have over 14 million young people between the ages of 15 and 29. The number will peak in 2021, reaching 15.1 million. Given the youthfulness of the population, we need to provide a good quality education and skills. Steady progress is being made but more must still be done. The percentage of the population who completed a higher education which includes certificates, diplomas above Grade 12, as well as degrees and postgraduate qualifications, increased from 7,1% in 1996 to 8,4% in 2001 and slightly increased in 2011 to 12,1%. The proportion of persons who completed secondary education or higher education increased from 23,4% in 1996 to 40, 5% in 2011. This figure shows improvement, but it is still far from what we want for our country. Census 2011 indicated as well that the youth form the bulk of the working age population who are not working. In fact 65% of our black youth is unemployed. The latest studies also show that 72 per cent of South Africa’s unemployed are younger than 34. Our education and development programmes are designed to correct these challenges. At the basic education level, we are focusing on improving access to schooling and to improve the learning conditions. It is for this reason that we have more than eight million children in no-fee school, over eight million children receiving nutritious meals at school and more than 800 000 being enrolled in Grade R compared to about 300 000 just a few years ago. The building and refurbishment of schools is continuing, to eradicate mud schools and other inappropriate structures. We have prioritised access to higher education especially technical and vocational education to expand the country’s skills base. We are happy in particular with the increase in enrolments at FET colleges. For the 2012 academic year we had set a target of five hundred and fifty thousand (550 000) student headcount enrolments at Further Education and Training Colleges. We exceeded this target and colleges enrolled a total of six hundred and fifty seven thousand, six hundred and ninety (657 690) students. This represented an increase of 54% over the preceding year. Government has allocated 17.4 billion rand to ensure that FET College enrolments continue to increase. This money will be spent on building and improving FET College infrastructure. We exceeded our targets in FET financial assistance as well. In 2012 government provided financial assistance through the National Student Financial Aid Scheme to one hundred and eighty seven thousand four hundred and ninety seven (187 497) FET College students. The plan had been to assist one hundred and eighty thousand eight hundred and twenty six (180 826) students for that year. We are encouraged that our young people understand the importance of education and skills development. They are following in the footsteps of the children and youth of 1976 who prioritised quality education. Beyond education, we are also investing in youth employment. It is for this reason that a landmark youth employment accord was signed by government, business, labour and youth organisations from all political persuasions on 18 April 2013. We urge the youth to contribute to implementing the Accord, which must be done in the spirit of the country’s socio-economic blueprint, the National Development Plan. The National Development Plan singles out young people as being key to the development of the country. It highlights that South Africa’s youthful population presents an opportunity to boost economic growth, increase employment and reduce poverty. The Plan also proposes the strengthening of youth service programmes and the introduction of new, community-based initiatives to offer young people life-skills training and entrepreneurship training. The implementation of the National Development Plan and the youth accord will take into account the progress made to date in promoting youth development. Government has specifically put measures in place to boost labour absorption among young people and to create an environment for economic growth that supports youth development over the long term. Scores of young people from three thousand three hundred (3 300) rural wards across the country are enrolled in various training programmes under the National Rural Youth Services Corps. There is also a plan to create nine Rural Youth Hubs per province, including in the 23 poorest districts in the country. We have directed the Expanded Public Works Programme, which provides temporary work opportunities for the unemployed – to insist that 40% of people employed on these projects be young people. The new Small Enterprise Funding Agency, formed after merging small business financing institutions, will make R1,7 billion available over the next five years for youth enterprises, with a target of R220 million in this financial year. In addition, the Industrial Development Corporation of South Africa has announced a R1 billion Youth Fund to provide concessional lending to youth-owned enterprises that create jobs. We have put all these programmes in place, and will also continue to improve access to education, basic services to improve the quality of life of young people. Having mentioned the work being done to improve the lives of our youth, we must bear in mind that the youth of today faces a different struggle to that of 1976. What is common in the struggles of these two generations; is the building of a ‘better life for all’. This clarion call to the youth to fight against apartheid was in essence to fight for a ‘better life’. The youth of 1976 were made not to be full citizens of this country. They were made to be pariahs in their motherland and could not influence or participate in decision making in their own country. The youth is now empowered by the Constitution and the laws of the land to participate fully in building a better life. A salient point in this struggle for a better life is the fight against drugs and substance abuse; the fight against crime and gangsterism; the fight against child and women abuse; the fight against teenage pregnancy and truancy as well as the fight against mob justice and xenophobia. Thus our special message to the youth of the Republic today, is that you must become an integral part of the struggle against all these cancers that are painfully eating our society. We must fight the scourge with the same vigour that we fought apartheid, and the zest that is displayed in our successful fight against HIV and AIDS today. The youth have become slaves of drugs such as Nyaope, whoonga, tik and Kubar amongst others. Others are slaves to alcohol abuse. According the 2nd South African National Youth Risk Behaviour Survey 2008, the Western Cape, Gauteng, Free State and North West reported the highest alcohol consumption rates by the youth. Limpopo and Western Cape were the only provinces where more female learners than male learners had used alcohol in their lifetime. Alcohol abuse among young people is usually a gateway to the use of harmful substances. Thus as Government, we must respond more vociferously than ever, to the cries of the youth of Eldorado Park, Mabopane, Westbury, Mamelodi, and other areas who are facing the onslaught of drugs. We have heard the cries of the youth of Gugulethu and Mitchell’s Plain, Valhala Park and other areas against crime and gangsterism. The youth of Port Elizabeth and Diepsloot must be supported in their fight against ‘mob justice’ and ‘xenophobia’. We have heard the cries of the youth of De Aar and Pampierstad in the Northern Cape in their effort to root-out alcohol abuse and Fetal Alcohol Syndrome and many other social ills. Studies, particularly among rural populations and those associated with wine farms in the Western Cape, have demonstrated that 5% of school-entry children have Fetal Alcohol Syndrome Disorders. In Diepsloot, Lenasia South, Westbury and Soweto, the rate of Fetal Alcohol Syndrome Disorder is 2.6% of that population. The situation is extreme in two populations in the Northern Cape Province in De Aar and Upington, where the prevalence is seven percent. As we speak today, many parents are in pain, as they watch their children deteriorating and their lives being destroyed by drugs and alcohol abuse. I visited Eldorado Park recently and listened to horrific tales of young people who rob their own families in order to obtain money for drugs. I have heard tales of children as young as eight years old who are now addicted to drugs. I have heard tales of young girls who are molested in drug dens, or “lollie lounges”. Siyazizwa izikhalo zabazali ezweni lonke, bethi izingane zibulawa izidakamizwa kanti ezinye ziyizigqila zotshwala. Ezinye zintshontsha imali nezimpahla emakhaya kuze zithenge o- whoonga, nyaope nezinye izidakamizwa. We must today declare drug and alcohol abuse as the enemies of our freedom and democracy. We must declare drug traffickers and those who run illegal alcohol outlets that sell alcohol to our children the enemies of our freedom. They should be ashamed of running businesses that destroy children, the youth and many families. Government and its partners are implementing the Anti-Substance National Plan of Action. Communities must play an active role in ensuring success. We need to work with law enforcement agencies to ensure that such people are brought to book. We must report them, so that we can stop them from destroying our communities. The plan focuses on enabling policy and legislation, the reduction of supply and demand of drugs as well as treatment and rehabilitation of addicts. Already there are 215 Local Drug Action Committees around the country that are assisting communities manage their own preventative work at grassroots level. The SA Police Service plays a key role in the fight against drugs and substance alcohol abuse. We have seen the impact of visible policing in Eldorado Park where they moved in to clean up the community. Information provided by the community is of crucial importance and partnership initiatives like Crime Line play to encourage community members to provide information. Since crime analysis conducted by SAPS at all levels indicates a clear link between alcohol abuse and violent crime, crime combating and prevention operations focus specifically on the supply of alcohol, in addition to illegal drugs. During the past financial year, police conducted a total of three hundred and ninety four thousand three hundred and seventy nine (394 379) liquor compliance inspections. A total of seventy four thousand, five hundred and forty seven (74 547) illegal liquor traders were charged and closed down last year. Designated Police Officials have been appointed at Police Stations and are responsible to address the transgressions of liquor legislation. Some of the illegal outlets are located near schools, which has a serious effect on luring children to drink alcohol at a young age. The police also run a Safe Schools Programme focusing on preventing drugs, crime and violence in primary and secondary schools. The SAPS also conducts search and seizure operations, looking for drugs and dangerous weapons in partnership with Safe School Committees located in schools and School Governing Bodies. In addition to the work of the police or the Department of Social Development, Health and others, youth and parents must play their part. The youth must say NO to drugs and all illegal substances and must seek help. The youth should support their peers who are trapped in alcohol and drug abuse. The youth should assist the police to bring to book the drug traffickers who destroy the lives of children. The youth must join the fight against women and child abuse and violence against women in general. The new scourge of sexual violence against women and girls must stop. Indeed, our youth have a lot of work to do as part of nation building. Fellow South Africans, in addition to this priority of promoting healthy lifestyles for young people, we still expect the youth to raise sharply and constructively, issues pertaining to education and economic participation on all fronts, including in government and society, as we consolidate the gains of the 1994 democratic breakthrough. The youth of South Africa have a bright future, but that depends on what they plough today. The National Youth Development Agency has been tasked with the responsibility of assisting the youth to find their true potential. The new Board of the NYDA, led by chairperson Yershen Pillay, has reduced the strategic areas of the NYDA by 50% in order to become more focused. Attention will now be paid to Economic Participation, Education and Skills Development, Policy and Research, Health and Well being as well as Governance and administration. To ensure the effectiveness of the agency, the Presidency is facilitating amendment of the NYDA ACT to enable much more focused interventions. It is also expected that the NYDA will soon start with the process of reviewing the National Youth Policy, because the term of the current policy is coming to an end in 2014. This process should be used as an opportunity to take stock of the impact of various interventions that have been implemented to date. We thank the previous NYDA Board Members for their contribution to the organisation. In order to intensify the voice of young people, the Presidency is also establishing a Presidential Youth Working Group – a youth sector stakeholder platform to be used to directly engage key relevant stakeholders in the youth development space. The youth of the Republic are inheriting the legacy of Nelson Mandela, Walter Sisulu, Oliver Tambo, Braam Fischer, Phyllis Naidoo, Charlotte Maxeke and a host of stalwarts. Therefore, they must hold the rainbow nation flag high. They must sing the country’s National Anthem with pride in the knowledge that South Africa belongs to them, and that the future belongs to them all. As youth, your task is learn, learn and learn. Learn from the lives of those before you and most important of all to learn the skills that are necessary to build a winning nation and a non-racial, non-sexist and democratic South Africa. Your task is to contribute to building a prosperous South Africa, free of crime, drugs and substance abuse and free of poverty, inequality and unemployment. Your task as the youth, is to help us to build a truly caring society. That is the mission from which must emerge new heroes and heroines. Let me at this juncture, invite you all to keep Madiba in our thoughts and prayers. As you are aware, President Nelson Mandela is still in hospital in Pretoria. We are grateful that he continues to get better. Over the last two days, although he remains serious, his doctors have stated that his improvement has been sustained. He continues to engage with family. I invite you to join me today, in wishing Madiba a very happy Father’s Day today. We love him and know that he loves us too. I wish all our youth a successful and productive National Youth Day! HURISA is deeply concerned that substance use, abuse, alcohol and illicit drug peddling has affected African children and youth since apartheid heighten days and continues to cause social misbehaviour amongst the youth of the African continent. The fearless spirit and consciousness of the youth of 1976 need to be revived by introducing the human rights values within the life-orientation curriculum and advise the youths of South Africa about the dangers of the legally accepted social substances such as alcohol and illegal man made substances such Tik, Nyaope, Whoonga and Cocaine. Despite thematic approach of the youth month in South Africa, HURISA has further noted the African Union, Committee of Experts on the Rights and Welfare of the Child (ACERWC) theme for 2013 as ”Eliminating Harmful Social and Cultural Practices Affecting Children: Our Collective Responsibility” commemorated every year on June 16 by Member states of the African Union in terms of Resolution CM/1290 (XL) as the day of the African Child (DAC). 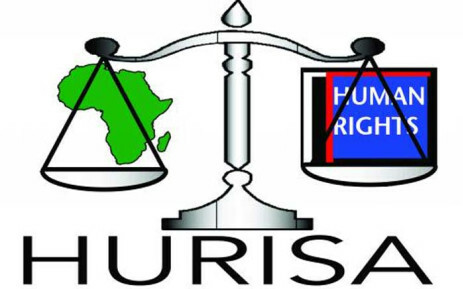 HURISA condemn the innocent loss of 36 lives of young men that recently took place in Mpumalanga Province in South Africa, and calls upon the Government of South Africa to submit its cultural legislative and prosecutorial measures to eradicate these harmful, abusive and negligent killing of young children under the name of African rites of passage that is conducted by community members under guise of culture and spirituality. This commemorative theme of the African Union Committee of Experts on the Rights and Welfare of the African child is relevant to our recent violation of cultural rights and abuse of young children as it promotes positive cultural values. We encourage all critical stakeholders to take urgent steps to eradicate the harmful cultural conduct, restore the human dignity, right to life and freedom of security of young persons in their lifetime. We further call upon the National Youth Development Agency to popularise the African Youth Charter of 2006 among the youths and learners in South Africa and align its National Youth Policy of 2009- 2014 with the African Union strategic review document of 2005- 2015 as it was declared the Youth Decade by NEPAD Youth directorate and the African Union. Youth unemployment and inequality are the threats to our hard worn freedom and democracy in the African continent. We conclude to urge the National Youth Development Agency, Ministry of Women, Children People With Disabilities, Office of the State President to reconsider commemorating the Day of the African Child with the African Union committee of experts on the Welfare and Rights of the African Child in the context of June 16 as it serves as the turning mark of the Youth in South Africa and in particular the African continent.